A simple, colourful Welsh picture dictionary that will introduce first Welsh words to young learners. Over 350 useful Welsh words are arranged in popular topics including school, sports, park, beach, house, street, farm and wild animals. 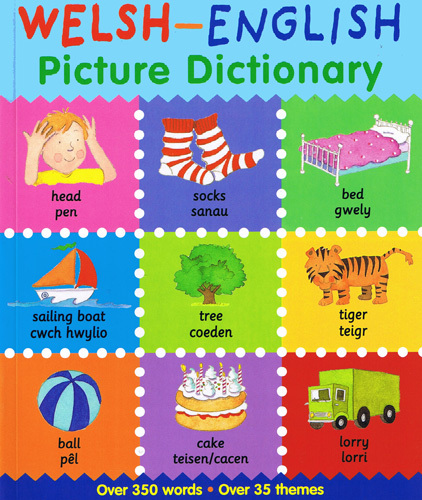 Each Welsh word is clearly illustrated for easy learning and is accompanied by an English translation and a simple guide to pronouncing the word in Welsh. There are alphabetical Welsh - English and English - Welsh word lists at the back of the book. Aimed at ages 3+. Suitable for beginners.